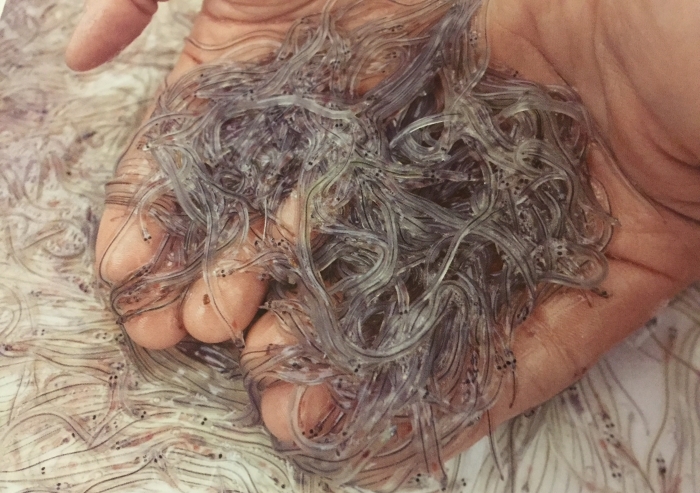 The elvers that Marc cooks in #ElsTinars are supplied by Juli Carbó, who fishes them in the Gola del Ter, in Torroella de Montgrí, and in the Molí de Pals irrigation channel, in the Parc Natural del Montgrí, Illes Medes and Baix Ter. It is a unique product. Our specialty is to cook them in the pil-pil, making them directly on the casserole and letting them sweat. The gelatin that loosen is bonded with olive oil and and we get a spectacular pil-pil of elvers. We also prepare them "a la bilbaína" and grilled. We encourage you to enjoy them! 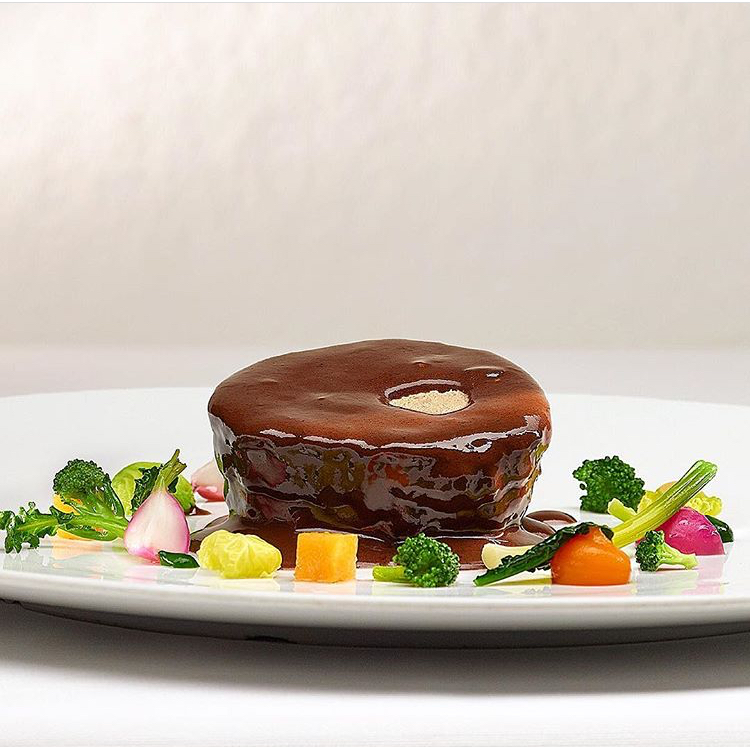 We love the hunting season, when we can finally cook the partridges in the cabbage or "lièvre a la Royale", a kind of civeta or hare salmis, was one of the glories of haute cuisine. Today it remained a highly valued hunting dish that we offer you with our personal touch (see photo). The squid is the most consumed cephalopod in Spain and the jig-caught squid is undoubtedly the best quality. This type of squid is captured with a hook in his mating season, when its texture is transformed and as a result is much more tasty. It has a nice reddish color and is covered by a kind of mucus that makes it very tasty. You can cook this kind of squid in many ways, but grilled is how you can best enjoy its flavor. 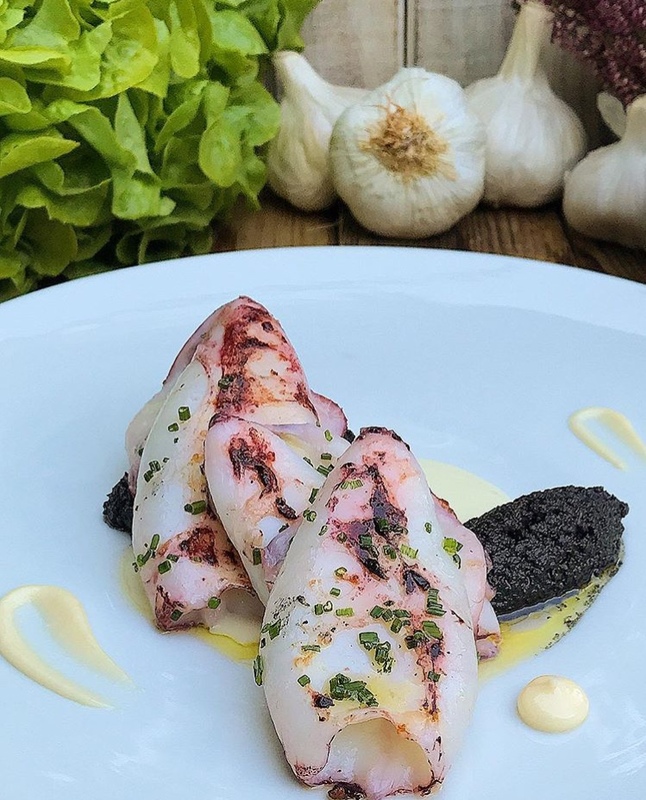 We prepare it grilled, whit stewed squid, sweet onion and ink (see the picture).